Get AspDotNetStorefront with No Upfront Costs! Fully customizable ecommerce with unlimited hosting - all for a simple monthly subscription. The easiest way to get started selling online! For a limited time, get the AspDotNetStorefront license bundled with these great Compunix add-ons at a huge discount ($480 in savings)! Multiply the selling power of your ecommerce store! Powerful, flexible and easy to use, the AspDotNetStorefront shopping cart multistore is the ultimate ecommerce platform! Packed with features and the option to add even more selling tools, AspDotNetStorefront makes it easy to manage an online business of any size. 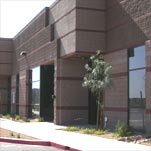 Start today with a Multistore License! 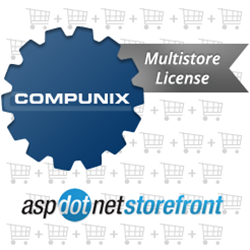 The Multistore License makes it easy to maximize the sales potential of your product database! Create a new site with any variation of your product line - an additional web store with alternate branding or maybe a site that specializes in a just few categories - the possibilities are unlimited. Purchase additional store licenses anytime! One of the most important tools to boost sales conversion, customers find what they need faster with instant spelling suggestions, automatic keyword variations and search results sorting. Eliminate search errors and lost sales! cSearch even saves search statistics so you can track and analyze search trends. Instantly filter search results to find just the right product! Narrow searches by category, color, size, brand, style or anything included in your product database. iSearch is also completely customizable to seamlessly integrate with your existing ecommerce website design. Search results as fast as you can type! Nothing beats the speed and efficiency of our search-as-you-type shopping cart tool. Customers see realtime results, getting to the products they want faster than ever - in most cases finding what they need before they’ve typed their entire search! Response:Yes! The MultiStore AspDotNetStorefront license offers just that... the ability to run multiple domains all from same backend using same inventory and management!